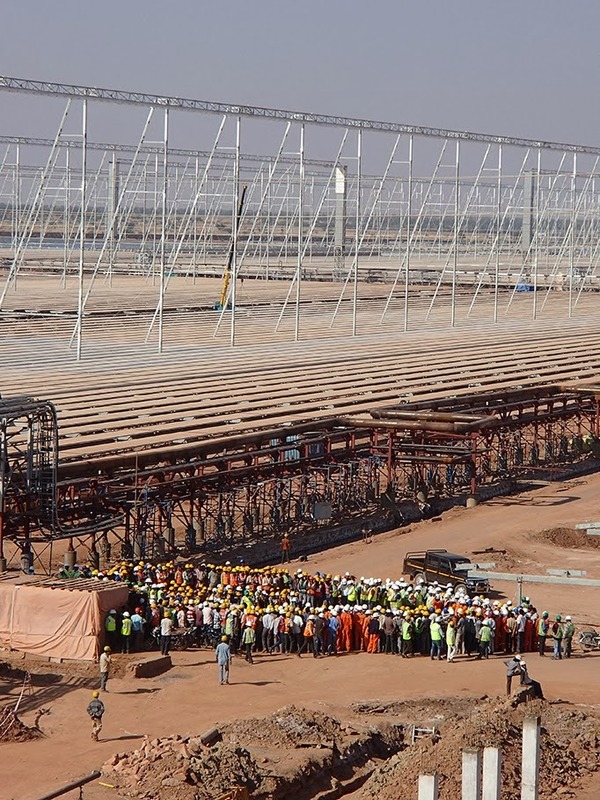 Reliance Power’s concentrated solar power project (CSP) at Dhursar is in an advanced stage of completion. The Rs 2,116 crore project is being implemented by Rajasthan Sun Technique Energy, a subsidiary of Reliance Power. The 100 MW CSP is coming up in Pokhran tehsil in Jaisalmer district of Rajasthan, and will be the largest CSP plant to be commissioned under the government’s National Solar Mission. 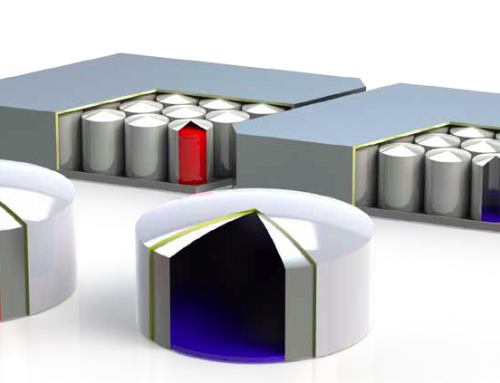 Reliance Power is lndia‘s leading private sector power generation company. 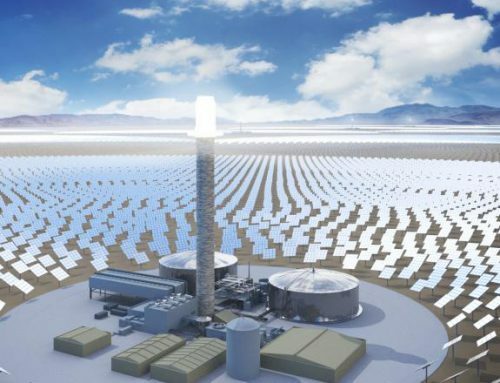 The concentrated solar power (CSP) plant is expected to be the largest solar thermal power plant in Asia and the largest in the world using the linear Fresnel reflective technology. 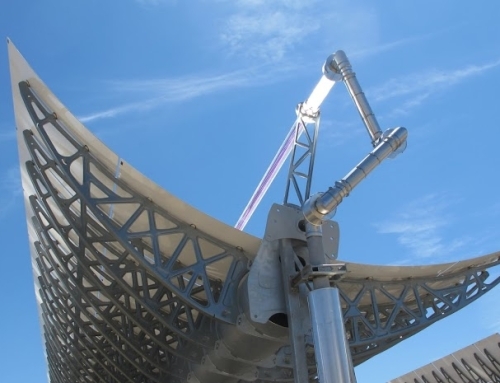 The concentrated solar power plant is part of the first phase of the ambitious Indian program, the Jawaharlal Nehru National Solar Mission, which aims to set up 22,000 MW of solar power capacity by 2022. The project developer was allocated 100 MW capacity under the tender process completed in 2011 but decided to develop an additional 25 MW capacity. Of the 125 MW capacity, only 100 MW has been contracted by the central government, while the balance is expected to be sold to private utilities. 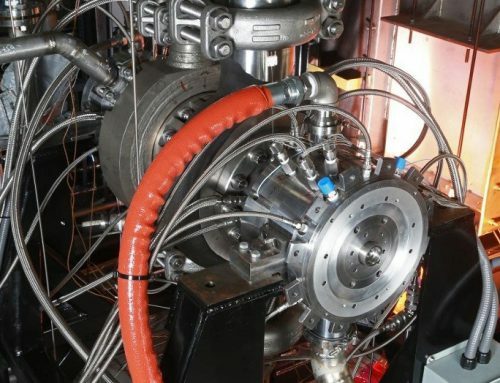 The project developer claims that the project can generate up to 280 GWh of electricity every year and can offset over 2.1 million tonnes of carbon dioxide emissions over a period of 10 years. Earlier this year, the project became the world’s largest solar power plant to be registered under the United Nations Clean Development Mechanism. 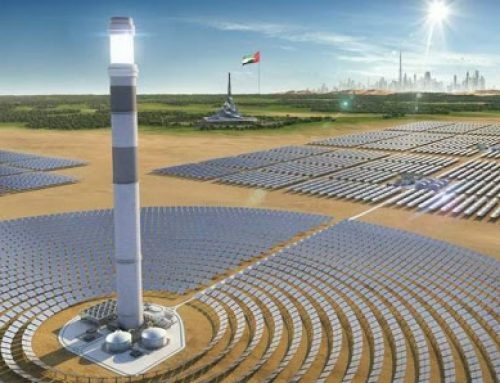 If commissioned in March 2014, the project would have missed the commissioning deadline by almost a year but would still mark a significant milestone in India’s quest to master the concentrated solar power technology.